Lot Size: 597 sq. m.
Charming home nestled amongst the hills of Guanacaste province in Costa Rica. Just 20 minutes from Daniel Oduber International Airport in Liberia; and 15 minutes from the new CIMA international hospital. The home is in a quiet cul-de-sac community, just off the main roadway; situated 5 minutes from the beach town of Playa del Coco, and 4 kms from the town of Sardinal, where all amenities are available. Home is Completely Furnished, on Titled Lot. Cement block construction. 2 Air-conditioned furnished Bedrooms, 3 pce. ensuite in master bedroom, additional 3 pce bath off 2nd bedroom. Hot water tank. Water is supplied by community owned well with large storage tank. Front & Back verandah & roof top patio. Large open style living room and outfitted kitchen (fridge & propane stove). Mature garden fully surrounded with flowering hedge - fruit trees in back/side gardens. Ceiling fans in all rooms, air-conditioning in bedrooms. Custom designed wrought iron Security Bars on all windows and Security Locks on doors. Tiled floors throughout the home. ICE Telephone line with Internet, and cable hook-up. 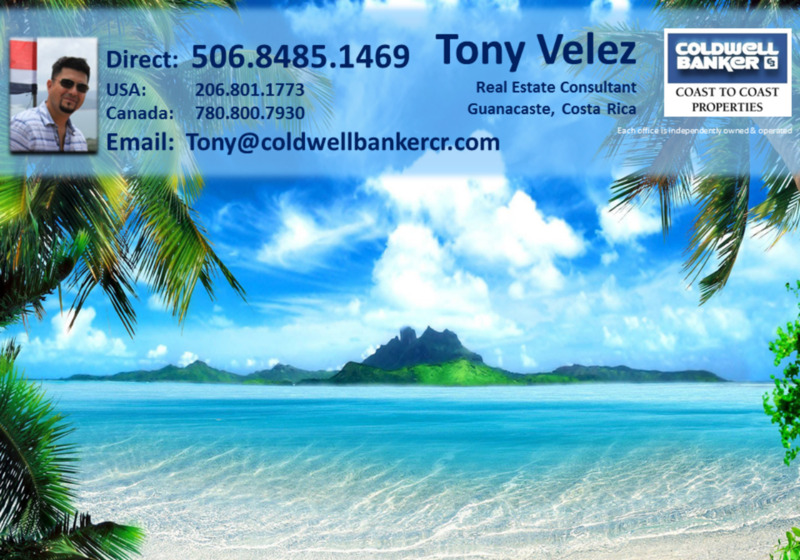 Can be sold with Costa Rican Corporation.